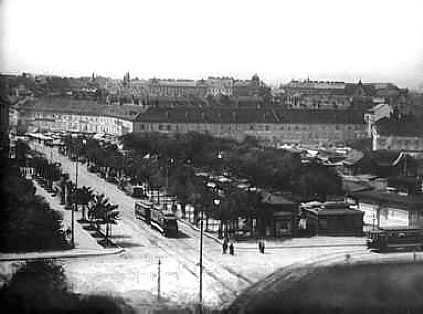 In 1905 the former Kärntnertormarkt (named after its location at the Kärntnertor) received its official name, whose origins are not entirely clear. It is a fact that the population first referred to it as "Aschenmarkt" (Ash Market) but around 1820 it became known as "Naschmarkt". There are two possible explanations for the term "Aschenmarkt": the market's precursor was a fruit and vegetables market at Freyung in the city centre. Because of constant disputes between the City Administration and the Schottenkloster (the Monastery of the Scottish Friars), it was moved in 1780 to the fürstlich Starhembergische Freyhaus (a house belonging to the counts of Starhemberg, torn down in 1936, today the area of Hauptstraße-Resselgasse-Operngasse). Earlier a small milk market had been established at the location of a former city landfill for ash and waste. This could be the reason why the Viennese called their new market "Aschenmarkt". At the same time, however, "Asch" was also a common name for milk buckets made of ash trees. 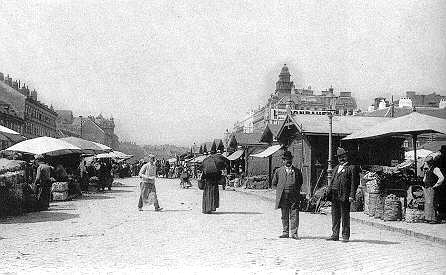 Already at the beginning of the 19th century, the name "Naschmarkt" became more and more common. It may have been a parody of the old term because many treats with a whiff of exotic countries, such as sugared orange zests and dates, were and still are available at the market (naschen = to eat sweets). After the regulation of the River Wien and its building over, the market began to extend from its original area (Karlsplatz between Operngasse/Linke Weinzeile and Wiedner Hauptstraße) to the area covering the River Wien. The construction of the planned magnificent avenue leading to the Schönbrunn palace would have required it to move though. World War I ended discussions about a new location for the market. 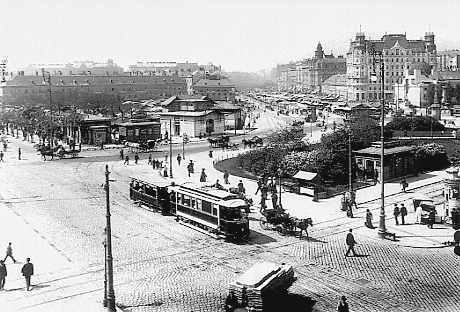 Already during the war the market received new stands following plans of the Vienna Executive Office for Urban Planning, Development and Construction and its uniform appearance still characteristic of it nowadays. 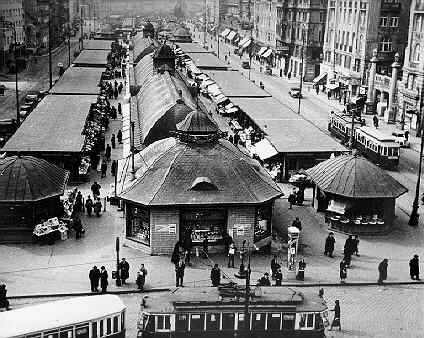 In 1919 the original inner part of the market was given up, limiting it to today's location along the Wienzeile. After 1916 a provisional wholesale market for fruit and vegetables was established at the side of the market facing to the outskirts of the city.